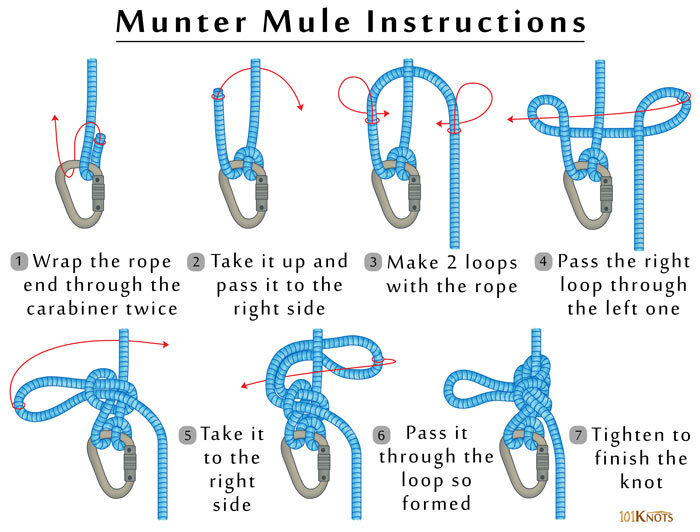 The Munter Mule hitch is a combination of the Munter and Mule hitches. The appropriate application of the knot is in rock climbing and canyoneering. It allows you to go handsfree on belay and can be released and tied off when under tension. It is sometimes used in conjunction with a Prusik knot. 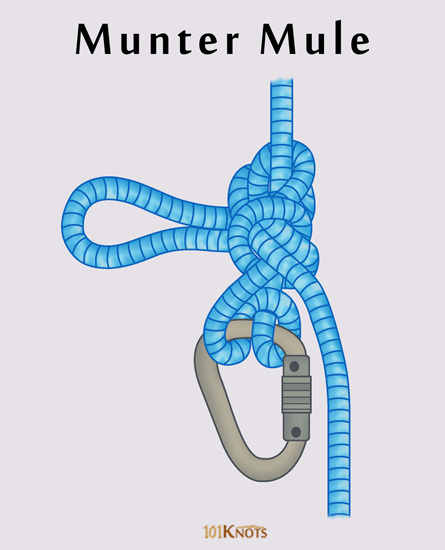 You can either tie it off with a half hitch as shown in the diagram above, two half hitches or an overhand knot as shown in the below video. It uses minimal equipment. Just a locking carabiner is enough. It kinks the rope and imparts a twist to it during descent. If used often, it can make the rope fuzzy. Munter Mule contingency anchors are used to make a single strand rappel line easily and quickly convert to a lower (contingency anchor).